Published: December 18, 2017 10:58 Usman Ghafoor, Special to tabloid! Singer Mustafa Zahid, known for his 2006 song Toh Phir Aao, has long been missing in action. 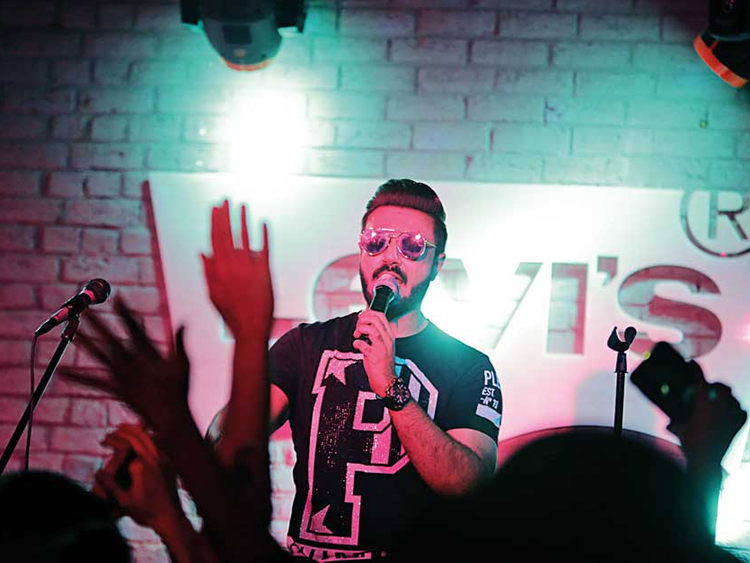 It was, therefore, a pleasant surprise for fans of the Roxen vocalist when he made an appearance at the recent session of Levi’s Live, held at Riot Studios, Lahore, on a Friday evening. Interestingly, Zahid came out with a refreshing sound, unlike his previous popular tracks that took him to Bollywood. The concert also featured Keeray Makoray, an underground band who like to call their brand of music as “existential funk rock”.